Please forgive the general lack of posting this week, but I’ve had a bad case of strep throat, which was a pretty regular illness for me as a kid and young adult and I haven’t seen for over ten years, until now. Luckily I’m on an antibiotic and hopefully will be back with a good chicken paprikash and cucumber salad recipe post tomorrow. Until then, take a look at the things (I don’t know what they are even though I planted both peppers and onions) that are sprouting in my new deck pot. 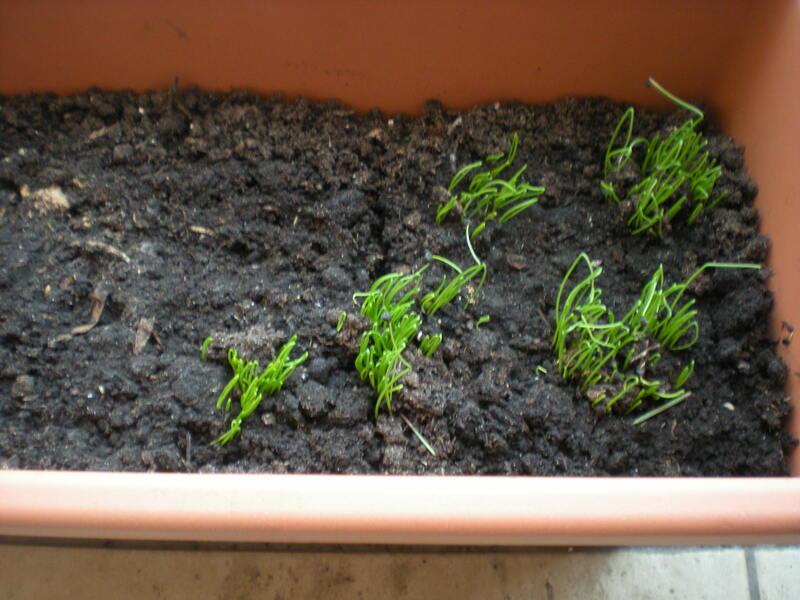 Since I usually (read–always) kill plants, seeing these little sprouts is really a little late spring miracle. These definitely look like onions to me. Congratulations! Success! I think peppers will have leaves. “what about ieanncsirg the income tax on high earners” Rich folks are greedy (that’s how tey get rich) and they hate to pay taxes. They can afford experts who help them hide their assets, mostly in offshore deals. Lowering their income taxes is an attempt to encourage them to pay at least something. I’m not sure how property and luxury taxes work in Hungary, maybe there’s room for collecting some money there.“reintroducing a nominal fee on doctor visits”It has proven to be an unnecessary bureucratic burden, won’t even pay for itself.The way to go is a better use of existing resources, a more rational system. People are forced to spend long hours in various doctors’ offices for no reason. A simple prescription can take as much as two months. See your doctor first, then he will send you to another and so on, patients are bounced around, wasting everyone’s time and money.